View aluminum awning colors in our gallery of color swatches for your Central Florida home or mobile home. The colors for aluminum awnings can be customized including double or single stripes in white or any of the 16 colors below. 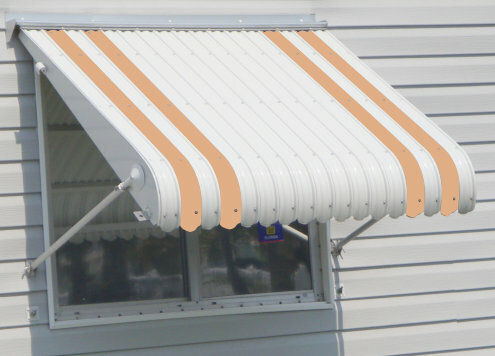 Select thumbnails to see enlarged photos with simulations of all 16 aluminum awning colors. Note: Colors are for reference only for display on this website and may vary from actual colors. Color swatches on aluminum disks are available for review for making your selection. 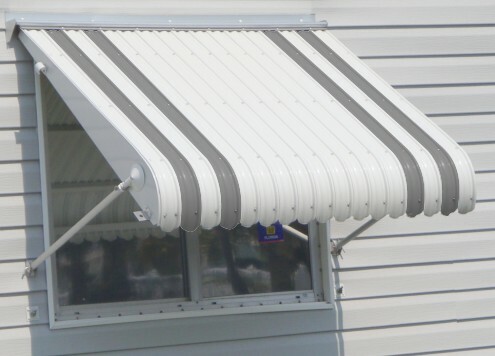 Call or email us for an appointment. 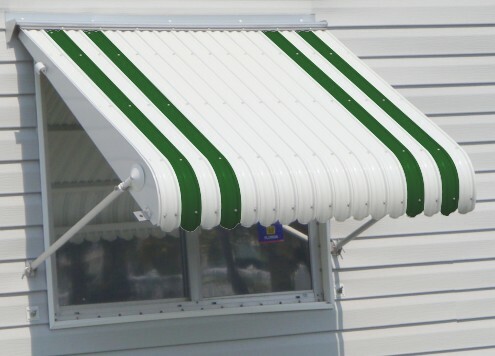 You may select basic white or any of the 16 custom colors including one solid color for the entire awning, or combine colors for adding single, double, or wider stripes. Just as we can custom manufacture your window or door awning for custom width or length, imagine the possibilities of matching color schemes, too.